I’ve just revised my 2019 Disney World Crowd Calendar, and–because crowds are a big part of it–also my 2019 Disney World week rankings. These revisions were based on two things—the partial opening of Star Wars on August 29, and my new information on actual 2019 fall breaks. Weeks affected by forecast crowd level changes were those starting 8/24/19 (the week of the partial opening) through 10/26/19. The opening date for the rest of Galaxy’s Edge, once announced, may require me to revise the later among these, and the later weeks of 2019, yet another time. I use my knowledge of how crowds have varied over the course of the year to set my priors—I’ve been doing this for a decade now, so have a pretty good set of priors. I then gather new, relevant, future-oriented information, apply judgment and parallel examples to it, and then as needed revise my priors. In another surprise, although rumored for a while, Disney (in an oh-by-the-way style) announced late last week that the new ride being developed in the old Great Movie Ride space at Disney’s Hollywood Studios, Mickey and Minnie’s Runaway Railway, would have its opening shifted from this fall to the spring of 2020. 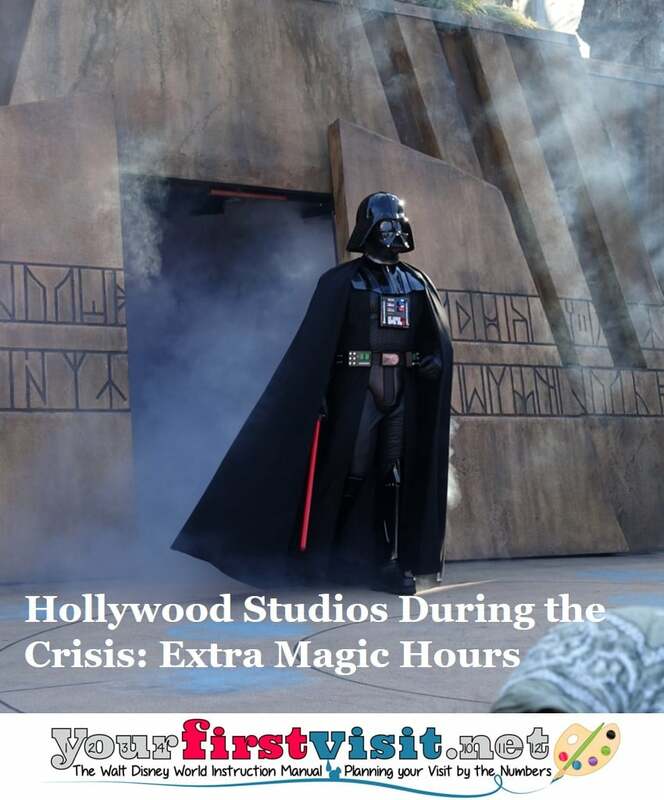 The immediate concern of everyone was the impact on crowds at Disney’s Hollywood Studios after the partial opening of Star Wars: Galaxy’s Edge in late August. The widespread perspective is that Disney needs another high capacity attraction to give the crowds drawn by Galaxy’s Edge something else to do besides building up the lines of the currently existing rides and shows. Every year, with the help of one of my niecelets, I collect the calendars for the upcoming school year for about 15 million US schoolkids—about a third of the US schoolkid population. I weight these calendars, by state, based on the respective contribution of that state to this website’s visits, graphically analyze them, and use the results to note how the ability of kids to be easily out of school can affect Walt Disney World crowds. I usually do this work in June, for the simple reason that while some school districts have no trouble posting their calendars for the next three or four years, some districts in some particular states—and yes, I am glaring at you, Michigan, and a bit at you, New Jersey—have problems getting out the next school years’ calendar even by early June. This year, the niecelet and I launched this work early, as while I had no idea that Star Wars would partially in late August, I did suspect we would get an opening date before my traditional June presentation of this work. The niecelet turned over to me her first pass through the ~280 districts we track at the end February (we track the 100 largest school districts, regardless of location, and then another 179 large districts mostly east of the Rockies, in states that contribute most of the visitors to this site), and we had then calendars for about 64% of the districts that schooled 69% of the 15.4 million kids we track. By early April, I declared in victory on this early round of data collection, with calendars for 90% of districts and 89% of kids—13.7 million–in hand. I’ll am now publishing a series on the results of this work, and after the series is out, will be revising the second half of my 2019 crowd calendar. As I discussed here, when Star Wars: Galaxy’s Edge partially opens at Disney’s Hollywood Studios on August 29, no FastPass+ will be available. Some have questioned the benefit of staying in a resort that offers access to FastPass+ at 60 days if the hottest new ride will not be eligible for FastPass+. I guess my first point would be that 60 day FastPass+ in the rest of Disney’s Hollywood Studios—for Mickey and Minnie’s Runaway Railway (now delayed until 2020), Slinky Dog Dash, Rock ‘n’ Roller Coaster, Tower of Terror, the Frozen Sing-Along will be even more valuable if crowding increases at the Studios. When Disney announced the partial opening on August 29, 2019 of Star Wars: Galaxy Edge in Walt Disney World’s Hollywood Studios theme park, it noted that while Galaxy’s Edge would be open during that park’s Extra Magic Hours, that FastPass+ would not be “initially” available for the sole ride to open then—Smuggler’s Run. What this means is that access to the ride will happen via the old fashioned way—by waiting in line. The decision to not initially offer FastPass+–and what I view as the related decision to not open the previously-announced table service restaurant in Galaxy’s Edge—creates much operational simplicity, which will benefit some guests. 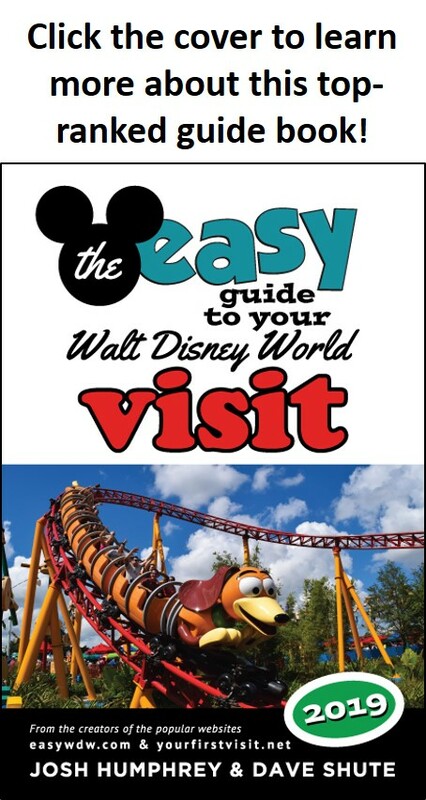 Between visitors new to Disney World who have not learned about FastPass+, predictable language difficulties, and normal human frailty, these three different logics for entering the land create the potential for much confusion—and much wasted time among guests who discover a bit late that they are in the wrong line. The choice to not offer FastPass+ also has positive implications for the rest of the park. Imagine two late morning scenarios. In the first, no one has FastPass+, four hours worth of people are waiting to ride Smugglers Run, two hours more of the ride’s capacity are waiting in line on Grand Avenue to enter Galaxy’s Edge, and five thousand people are in Galaxy’s Edge itself but not in line for the ride. At a capacity of perhaps 1,800 riders per hour, those folks sum to about 16,000 people who are not elsewhere in Disney’s Hollywood Studios. In the second scenario, 70% of the ride’s capacity has been dedicated to FastPass+, but there’s no more space in Galaxy’s Edge to put them. That takes 7,500 people out of the lines and puts them elsewhere in Disney’s Hollywood Studios, driving up in the rest of the park lines, wait times, and aggravation. The comparable numbers are even more stark when both rides are open—the second ride here, Rise of the Resistance, is expected to open “later this year.” When both are open, in the first scenario with no FastPass+, 26,000 people are physically waiting for entry to the land, to the rides, or in the land but not waiting for a ride; in the other scenario, 11,500 are absorbed in the land, and 15,000 folks with upcoming FastPass+ are elsewhere in the park. Obviously I’ve made some simplifying assumptions here, and of course no one—not even Disney—knows what the incremental impact of Galaxy’s Edge will be on the park, nor how long waits associated with it will be. But the key is that since that is unknown, the approach Disney is taking to FastPass+—making it not available, and rationing rides by waits instead—means that many people who would be otherwise elsewhere in Disney’s Hollywood Studios will instead be ring-fenced into lines for Galaxy’s Edge.